Earlier this year during little G’s spring break, we visited Naples in Italy, the birthplace of pizza. Other than the picturesque Italian coastline, one of the biggest highlights of our trip was the amazing Neapolitan pizzas we had. Every day, we savored absolutely amazing pizzas, from one pizzeria to the next. The flavors, fresh aromas and perfect pizza crusts topped our list as the best pizzas we have ever had. They were simply delicious! Since our trip to Naples, family pizza night hasn’t been the same again. Frozen pizzas and our favorite pizza delivery services are no longer on par with our newly acquired (pizza) palates. I have to take matters into my own hands; I started making homemade pizzas for my family…and it has been a very rewarding experience. 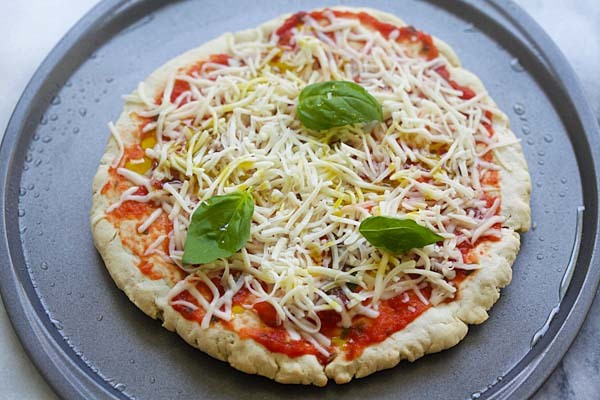 Today, I am sharing with you my gluten free Pizza Margherita recipe. There is a story about the origin of Pizza Margherita, which we learned from our travel guide in Naples. The pizza was created by the Neapolitan pizza maker Raffaele Esposito. He topped the pizza with tomatoes, mozzarella cheese and basil, to represent the colors of the Italian flag. He presented the pizza to the Queen Margherita, and hence the name Pizza Margherita. When it comes to gluten free pizza, I reply on Argo® Corn Starch as the main ingredient. I adapted the recipe from ArgoStarch.com. It’s important to take note that the most important ingredient in gluten free flour is corn starch, and my number 1 choice is Argo Starch. It’s so versatile and I can use it for both baking and cooking The texture of the starch is silky smooth and talcum fine, making everything so much more refined and better. 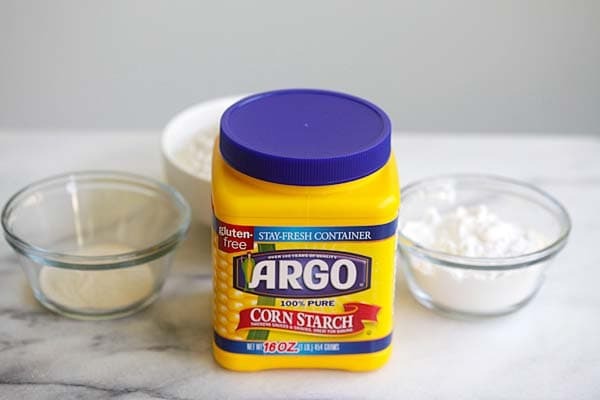 Argo Starch is made from 100% pure corn, it’s the PERFECT brand for gluten free recipes. While in Naples, I learned some secret techniques from the pizzeria there. First, be generous with your tomato sauce, which is infused with the sweet aromas of Italian basil. Next, be generous with your mozzarella cheese. The final touches are a few fresh basil leaves and some olive oil on top of the pizza before baking. Those are the secrets of utterly scrumptious Pizza Margherita. Buon appetito! Disclaimer: This is a sponsored post by Argo® Corn Starch and I am sharing this recipe as an Argo® Corn Starch Blog Ambassador. For a wholesome dinner, make the following dishes. Mix all the ingredients for Gluten Free Flour Mix together thoroughly. Store the remaining flour in a tightly closed container. To make the Pizza Crust, whisk together the Gluten Free Flour Mix flour, sorghum flour, sugar and salt in a mixing bowl and set aside. 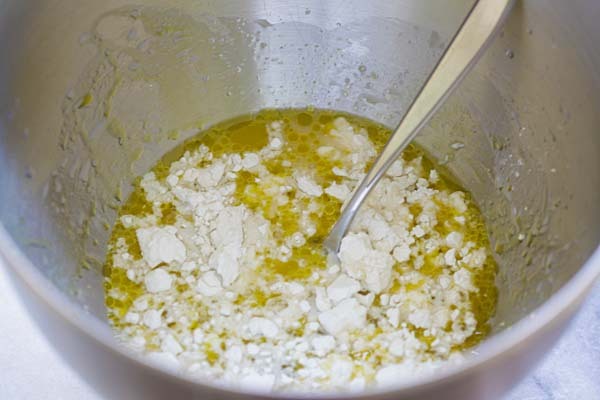 Combine water, yeast and 1 tablespoon oil in a large mixer bowl; stir to dissolve then add 1/2 cup of the flour mixture and stir well to blend. Allow to rest for 15 minutes or until mixture becomes foamy. Add the remaining flour mixture to yeast mixture. Mix for 3 minutes on medium speed using a stand mixer with a dough hook. Scrape the sides of the mixing bowl to gather the dough into a ball. Cover the mixing bowl and set aside for 30 minutes. In a food processor, blend the while peeled tamatoes into a sauce. Heat up a sauce pan, add the tomato sauce and chopped basil. Reduce the sauce to a thicker consistency, on low heat for about 10 minutes. Add the salt. Stir to combine well. Set aside. Grease a non-stick 12-inch pizza pan with the remaining olive oil. Scrape the dough out of mixing bowl and onto the pizza pan. Coat the dough with oil using oiled hands. 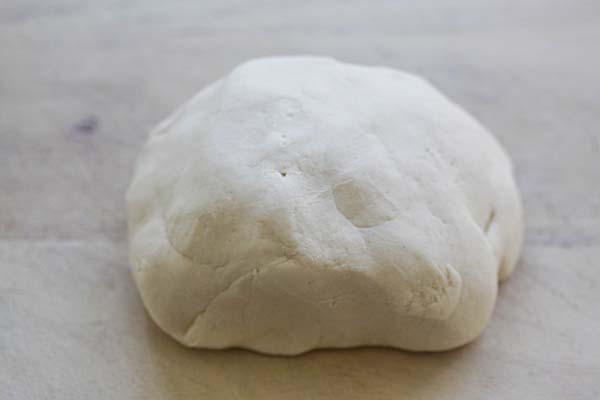 Spread the dough to a 10-inch diameter pizza crust. Bake on lower oven rack for 10 to 12 minutes or until edges begin to brown. Remove the partially baked crust from oven, add the tomato sauce, mozzarella cheese, basil leaves and drizzle the olive oil on top of the toppings, then return to oven to complete baking for 5 to 8 minutes or cheese is melted. If the dough is too sticky, add 2 tablespoons of the Gluten Free Flour Mix. All photos and recipes on Rasa Malaysia are copyright protected. Please do not use the photos and recipes without prior written permission. If you wish to republish this recipe, please rewrite the recipe in your own words instead of copy and paste and link back to //rasamalaysia.com/gluten-free-pizza-margherita/. Thank you very much! 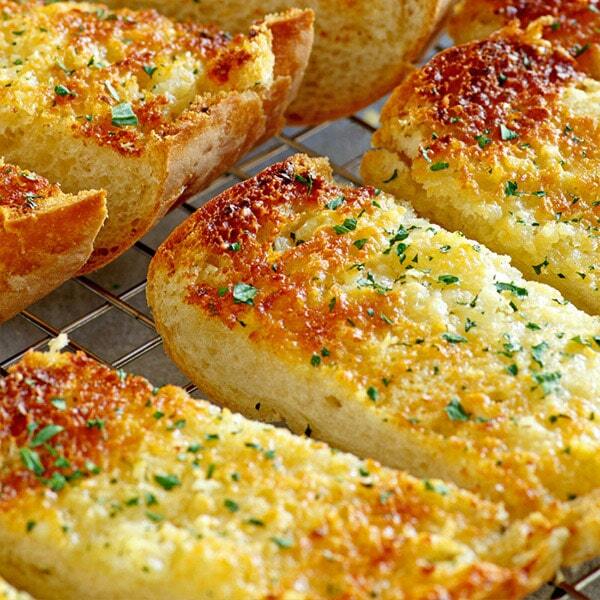 So glad to see GF recipes here, I’m on GF diet now due to celiac disease…hope to see more. 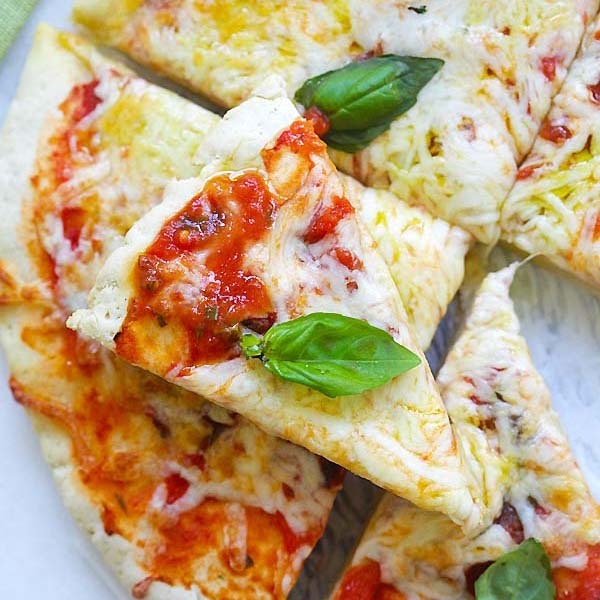 Hi Kate, so sorry to hear that but yeah, do try this Gluten-Free Pizza Margherita recipe. I will try to make more GF recipes! Hi bee, how’s the texture of the crust? Hi Brenda, the texture of the pizza is fine. This is the first time I made a GF crust, I am surprised by how well it turned out. Firstly you for sharing your recipes … Recipe of the GFA, both practical and very easy to those who have to HAVE USED GFA. I’ll be waiting for the new global directions. Thanks Ahmet, I am happy that you find my recipe useful. As a gluten free person, there´s nothing better than finding this type of recipes! Love how different sites have adapted and included these! I´ve been trying different recipes, mostly Italian, to prepare for my husband! 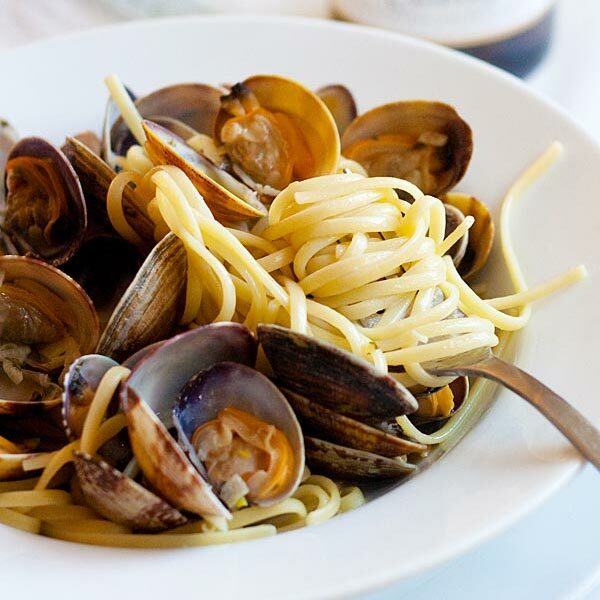 Have you seen Barilla Restaurant´s website? They also offer GF, Vegetarian and Vegan options to cook! 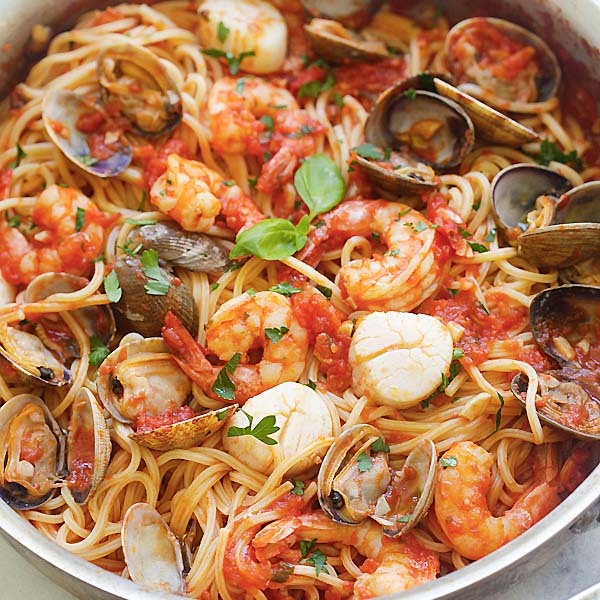 Delicious pizzas and pastas! Love it!